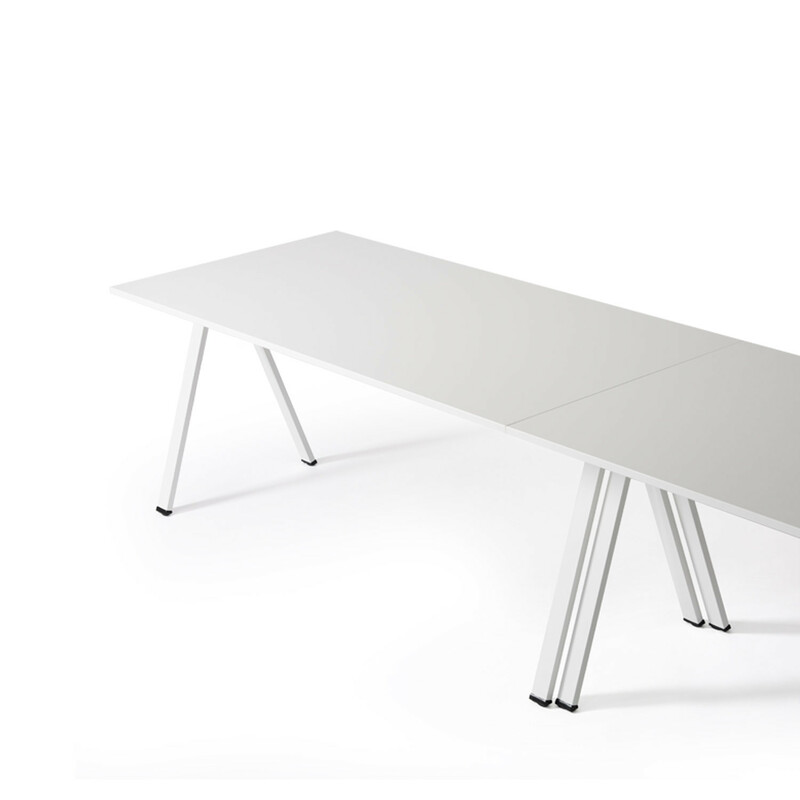 Yuno Stacking Table range opens up entirely new ways of furnishing multi-functional rooms. 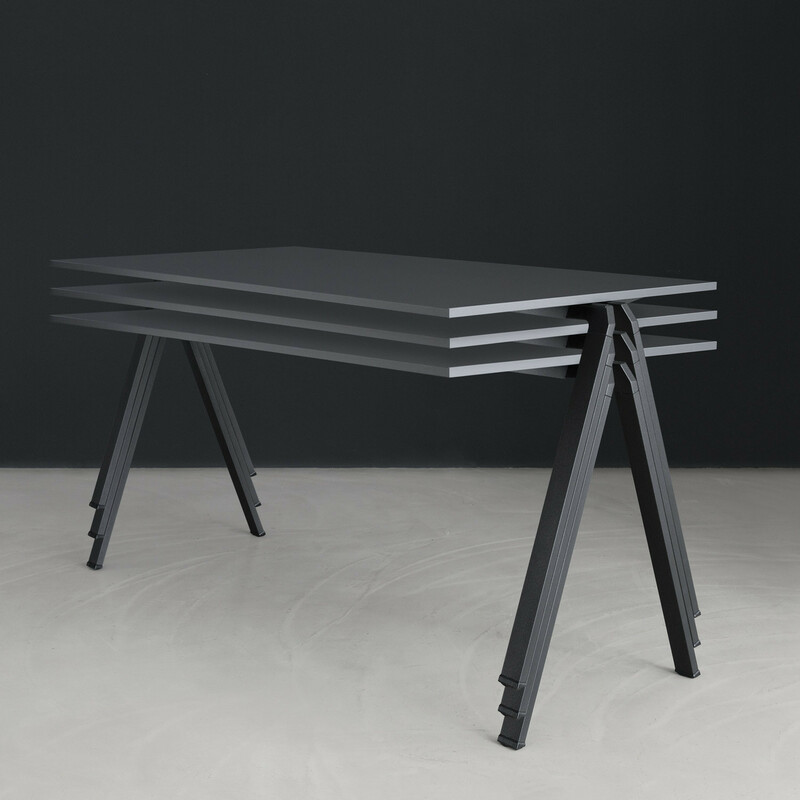 Yuno table stacks easily and compactly without the need to fold the frame, meaning a significant time saving when setting up and dismantling tables, as well as space-saving storage. Unlike traditional folding tables, what is particularly clever about Yuno is that when setting up for banquets or in rows, the tables can be interlocked lengthways without additional linking devices thanks to its special interconnecting frame. 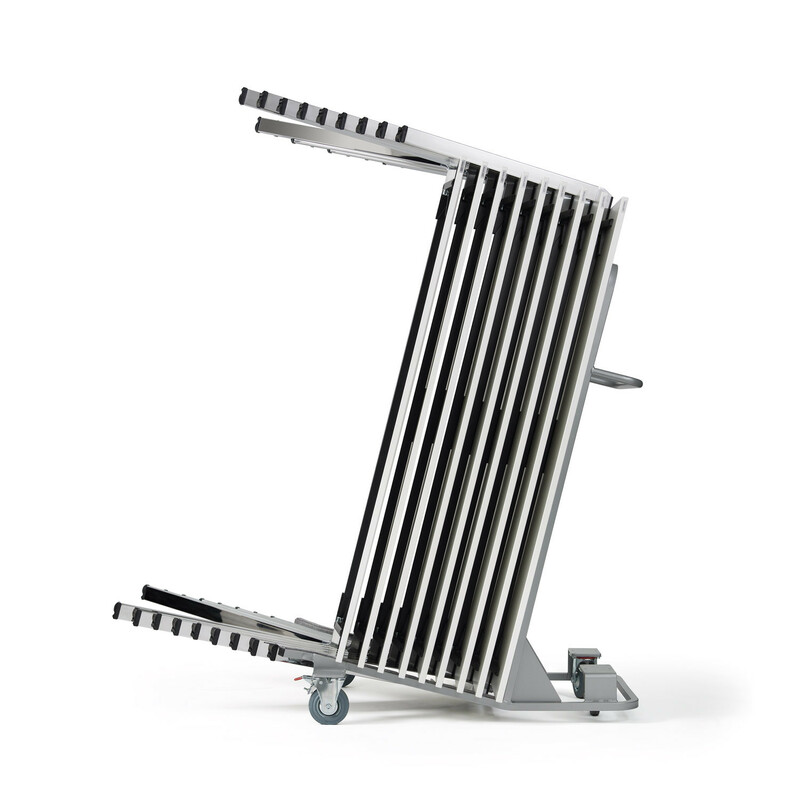 In large multifunctional rooms and halls highly efficient handling of tables and chairs is especially important and folding tables have traditionally been a popular choice for such applications, as they can be stacked and stored to save space when they are not needed. 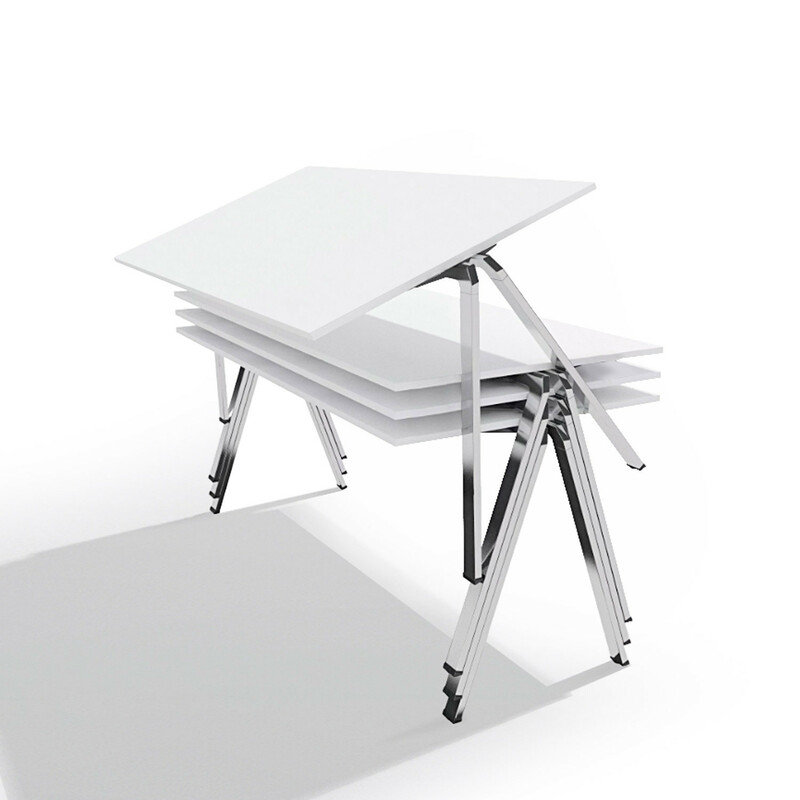 Yuno stacking table was designed precisely for these areas yet breaks with the tradition of inconvenient and time consuming folding. As well as saving time, effort and space, yuno’s high quality, aesthetically appealing design makes it an attractive choice for other areas such as seminar rooms and creative spaces. View more furniture from Wiesner Hager furniture. You are requesting a price for the "Yuno Stacking Table"
To create a new project and add "Yuno Stacking Table" to it please click the button below. To add "Yuno Stacking Table" to an existing project please select below.